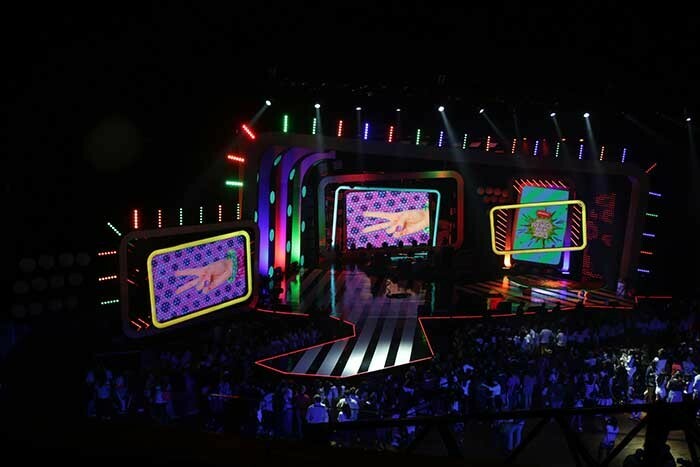 Brazil’s national counterpart to the American network Nickelodeon, a cable and satellite TV channel, recently hosted its 14th consecutive award show Nickelodeon Kids Choice, Meus Prêmios Nick. Spectrun Design e Iluminaςão delivered the entire project with production design headed by Ludmila Machado as well as lighting design, introducing an SGM lighting package to fulfil their ambitious concept. Lighting designer for Spectrun Design e Iluminaςão, Marcos Olivio, who had a great design team working on lighting and scenery, used 40 SixPack RGBA LED blinders, 120 LT-100 1-metre 3D graphic tubes and 144 strings LB-100 LED Balls. “The new products from SGM enable us to create a great diversity in our designs,” he comments. With the intention of generating a dynamic, colourful and upbeat scenery for the show, Olivio selected the SGM equipment in order to create this environment. As the target audience is between two and 15 years old, it was important for him to be able to make a visual impression sufficiently appealing enough for them to stay tuned in on the activities on screen. And for that he developed an age-appropriate design with children’s preferences in mind. The LT-100 LED tubes formed the frame of the LED screen with a gradient of 45 degrees and the LB-100 LED Balls were placed as curtain drops on the sides and the back of the stage. 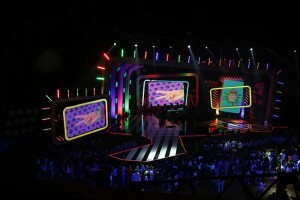 The SixPacks surrounded the entire edge above and on the sides of the stage, providing a multi-coloured effect. The fixtures were controlled by an MA lighting system with VPU for pixel mapping and ArtNet for sending content to the LT-100 and LB-100. Olivio is extremely content with the result of his creation. “SGM make products that complement our designs with focus on quality and diversity,” he says, mentioning also that the well-designed and stable equipment functions to the maximum which gives him peace of mind during operation. 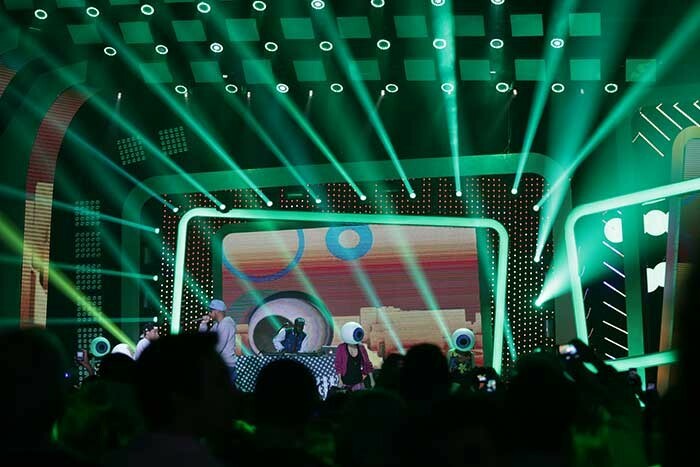 The SGM P-5 wash light is another favourite of the designer’s, and while it was not deployed for the Kids Choice Awards, Olivio reveals its upcoming role in the illumination of a historic building in Brazil.